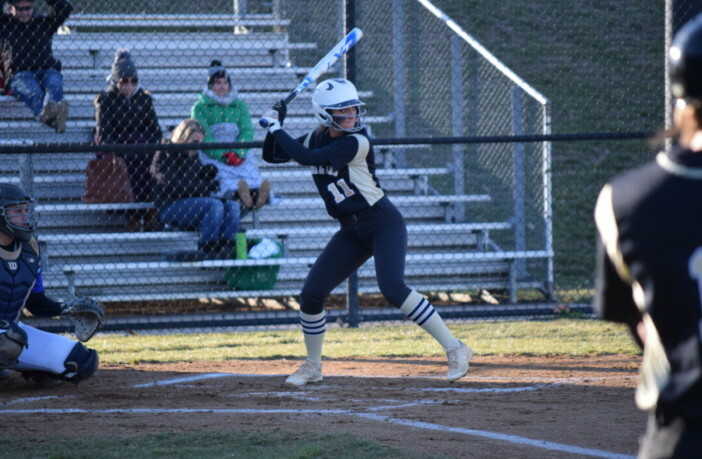 Leesburg, Va. — When Freedom High School third baseman Kaylee McKinney stepped up to the plate in the top of the ninth inning at Tuscarora High School on March 26, she had just one job: get on base. And McKinney did just that. With a runner on first, Freedom shortstop Camryn Munroe blooped a single just in front of the Huskies’ right fielder, turning the Eagles’ order over to the top of the lineup. Leadoff hitting right fielder Kensley Hess drew a walk, loading the bases for left fielder Jordan Cook. Cook – who was 0-for-4 up until that point – rocketed a ground ball off of first base and down the right field line, plating McKinney and Munroe, giving Freedom the lead from which they’d never look back. After nine hard fought innings, Freedom finally outlasted Tuscarora, 7-2, to earn the victory in both teams’ Potomac District openers. 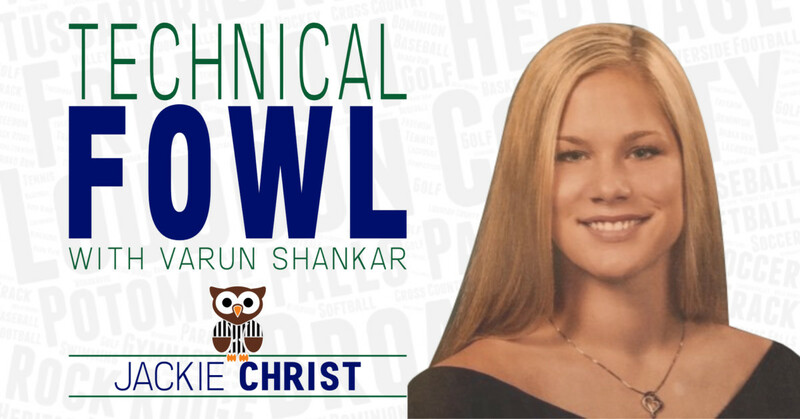 Cook’s two-run single was just the start for the Eagles as designated player Kerri Golden – who was also 0-for-4 up until that point – roped a single to left center, scoring both Hess and Cook. Then, Freedom first baseman Hope Newton got in on the action, lacing a double to right center to score Golden. With a 5-run lead, the Eagles turned the ball back over to starter Morgan Hess, who picked up the win, going 8.1 innings, allowing just 4 hits and 1 earned run while striking out 14. Tuscarora’s offense never really got going as Hess struck out 7 of the first 10 hitters she faced. Freedom also subdued the Huskies’ offense by issuing four intentional passes to Tuscarora catcher and East Carolina-commit Sophie Wools. 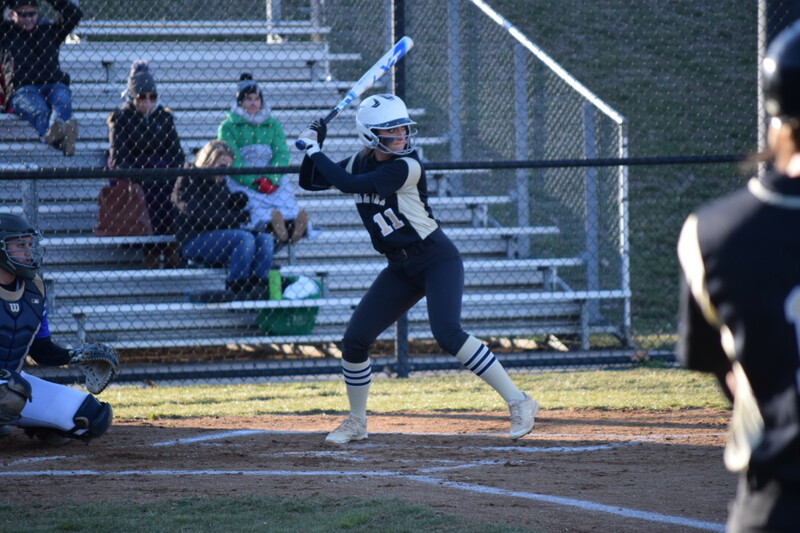 Tuscarora did get on the board when third baseman Makenzie Shavers smashed a two-run double to left center in the third, but Hess was able to fight out of jams in the fifth, sixth, and eighth, all unscathed. The Freedom offense was patient in the first, as Tuscarora starter Mary Pauly walked a run in. Over the next seven innings, however, Pauly cruised, allowing just seven base runners, while striking out 12. Freedom (1-0, 2-2) will look to stay hot when the Eagles host Briar Woods High School (0-1, 0-4) on March 29 in South Riding. The Huskies (0-1, 4-2) will look to bounce back when they travel to Stone Bridge High School (1-0, 4-0) on March 29 in Ashburn.